While caring for an elderly loved one with dementia, you’re bound to experience difficult behaviors. However, maintaining a soothing environment can alleviate confusion, anger, agitation, and other emotions seniors with this condition are more susceptible to. Here are some tips you can use to keep an aging parent with dementia calm. Loud sounds from the neighbors, radio, television, and other background noises can cause seniors with dementia to become upset and irate. You need to close the windows and doors in your home to reduce the background noises coming in from outdoors, and you can turn off your radio, television, and other electrical devices inside the home to calm your parent and alleviate anxiety. Dementia causes confusion and other brain changes that affect a senior’s mood, which is why maintaining a regular schedule is important as the condition progresses. A regular routine can allow seniors to maintain some normalcy, even as their cognitive abilities are decreasing. Professional caregivers with specialized experience in dementia care understand how reassuring routines are for seniors with the condition. Although it may be challenging to find reliable, highly rated senior home care, Waterloo, ON, families can turn to Home Care Assistance. Our respite and live-in caregivers are expertly trained to assist seniors with a wide array of important tasks, including cooking, bathing, light housekeeping, and exercise. Seniors with dementia typically view confrontations as threats. Therefore, you need to remain calm and avoid using negative tones and facial expressions when speaking to your loved one, even if you don’t agree with what he or she is saying. For example, if your parent has accused you of taking something from him or her, don’t become angry. Instead, help him or her find the missing object, and avoid using a confrontational approach. Easing stress and anxiety is an essential part of caring for your loved one. Aging in place can present a few challenges for seniors living with dementia. However, they can still live independently at home with the help of professional dementia care. 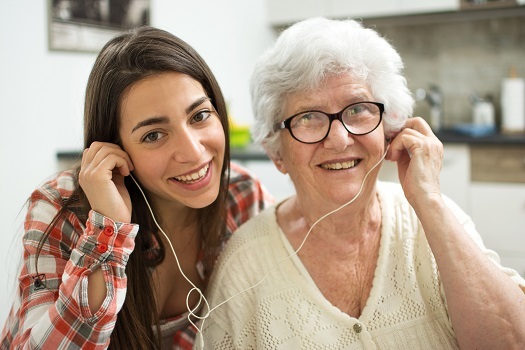 Waterloo families can rely on Home Care Assistance to provide their elderly loved ones with mental and social stimulation, timely medication reminders, assistance with meal prep, and much more. Our caregivers are available around the clock to help your loved one live a happier and healthier life. If your loved one has skipped medications, failed to get enough sleep, or missed mealtimes, he or she might act out negatively as a result. However, monitoring your loved one’s comfort levels and ensuring his or her personal needs have been met could keep him or her calm. Monitoring your loved one’s daily activities may alleviate many of the symptoms associated with dementia or prevent them altogether. Seniors with dementia don’t usually respond well to surprises, so family caregivers need to avoid sudden movements and changes to daily routines. Each time you enter the room, make your presence known to your loved one. Major changes and sudden surprises are often the main causes of confusion and agitation in older adults with dementia. If you need to change your loved one’s routine, let him or her know ahead of time, and start slowly. For instance, if you’re going to change your parent’s diet, make gradual changes each week, allowing him or her to become accustomed to the new foods. Having a pet inside the home can make seniors with dementia feel warm and bright, which can combat stress, anxiety, boredom, agitation, and other negative emotions they’re likely to experience. Adopting a pet can also help with your loved one’s overall health by leading to an increased appetite, more physical activity, and companionship. The best pets for seniors with dementia are fish, dogs, cats, and birds. Using these methods can help family caregivers reassure and calm aging loved ones who have dementia. Caring for a senior loved one can be challenging for families who don’t have expertise or professional training in home care, but this challenge doesn’t have to be faced alone. Family caregivers can turn to Waterloo Home Care Assistance for the help they need. We provide high-quality live-in and respite care as well as comprehensive Alzheimer’s, dementia, stroke, and Parkinson’s care. Call one of our dedicated Care Managers today at (647) 992 0224 to learn about the high quality of our in-home care services.